Who else is excited for the new season of Orange is the New Black? Perhaps one of the most bingeable shows on Netflix, Orange is the New Black is one of our favorites! 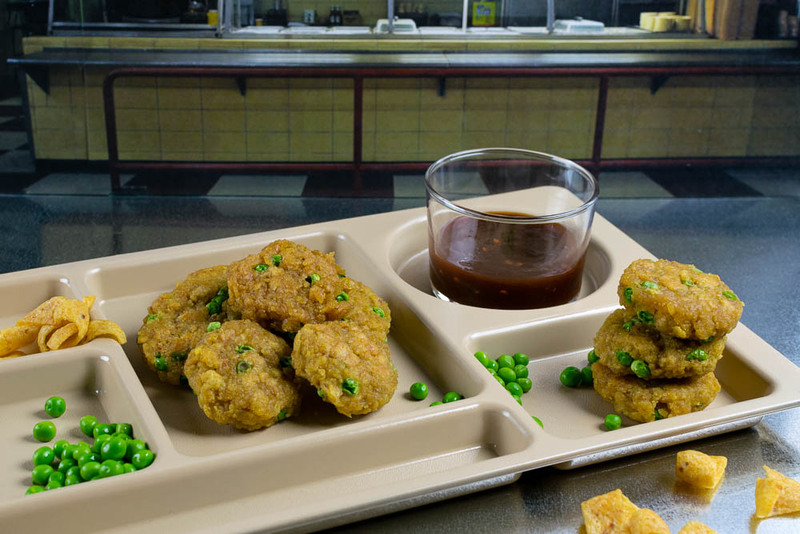 We decided it was time to share our recipe for Chang’s Frito Fritters, remember the one that was featured on The List? After the riot at Litchfield in season 5, the ladies find themselves in Max. In the week following the emergency response team’s takeover of Litchfield, the gang is facing serious charges. The question is who will stay loyal and who will snitch on the rest of the group? Hopefully, the answers to these questions along with more character backstories will come in the new season! Personally, we’d love to see more backstory on Frieda and Red! The inspiration for this recipe came from Season 3 Episode 6. 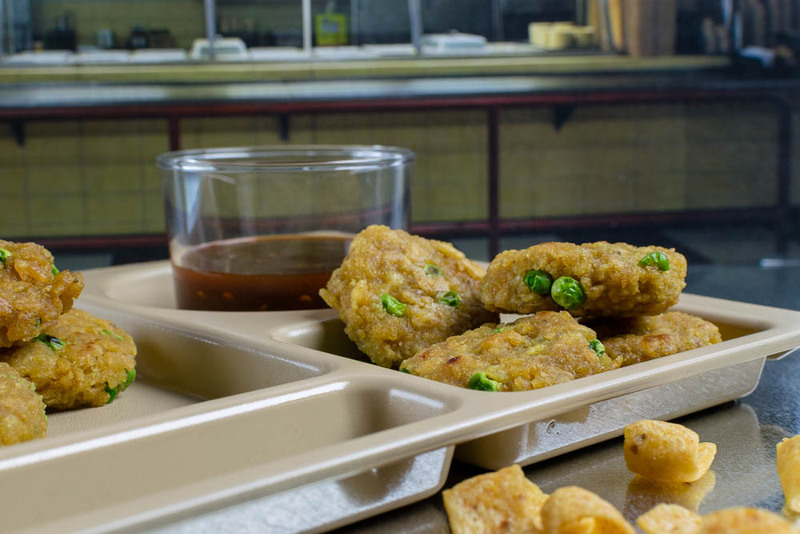 In the episode, Chang makes her prison fritters. However, we tried her method and it really doesn’t work! The big change we made to the recipe is adding an egg. This helps it bind so much better! Additionally, on their own the fritters a bit strong in Frito flavor. The sauce we added helps to balance it out quite well. 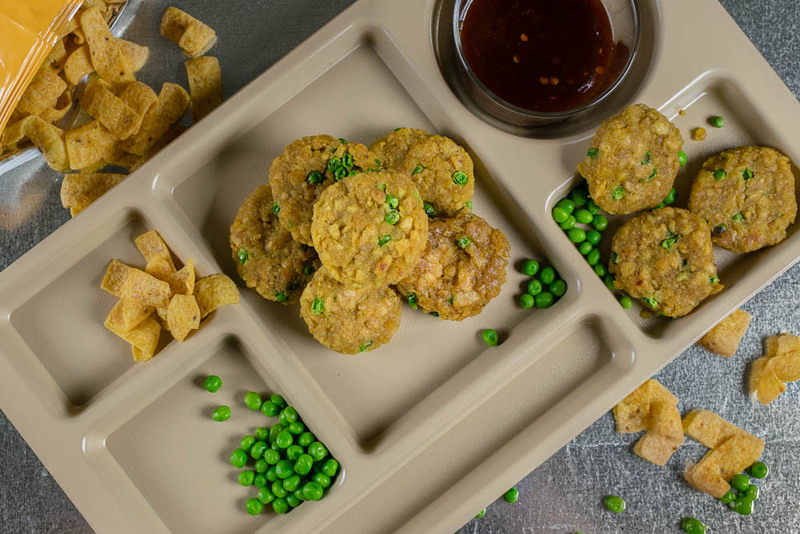 We hope you enjoy our recipe for Chang’s Frito Fritters! Are you excited for Season 6 of Orange is the New Black? Which season has been your favorite? Let us know in the comments below and use the hashtag #GeekEats on social! Also, be sure to give us a follow on Instagram, Facebook, and Twitter! We are always sharing giveaways, behind the scenes photos, and more! You won’t want to miss out! Instructions- combine all in a bowl and stir. Open the Fritos bag just a little to release air and use a rolling pin to smash the chips. Pour crumbs into a bowl and add 1/2 cup of water. Add a cup of cooked peas, one egg and mash it all together with your hands. Place patties on nonstick skillet and fry about two to three minutes on each side. Enjoy warm with Fritter Sauce.